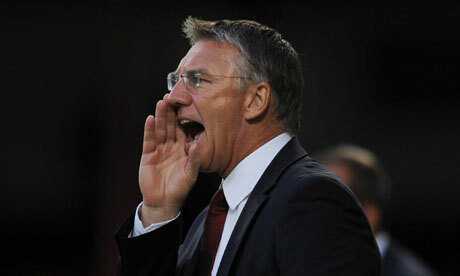 Nigel Adkins – Does This Signal A New Era For The Royals? Not many mangers boast such an excellent CV like the one Nigel Adkins possesses. 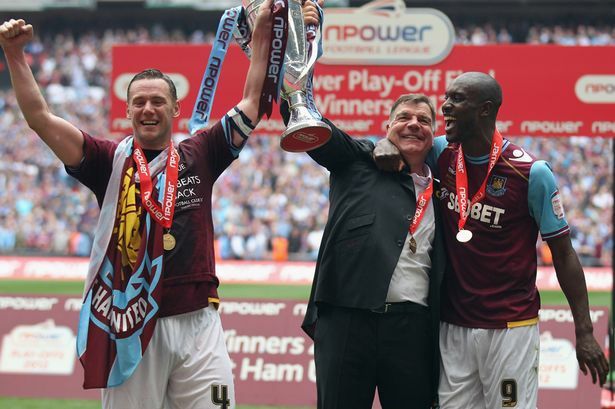 Adkins managed two promotions with a Scunthorpe side obtaining little resources, winning the title in the 2006-07 season to get the Irons into the Championship from League One, and also winning the 2008-09 League One play-off final to reach the second tier of English football for a second time. This was seen as a major achievement for the Birkenhead-born manager who was originally a physiotherapist at Scunthorpe, but was promoted to take the managerial role. Having made a name for himself at Scunthorpe, Adkins left the club in 2010 to join the then League One side Southampton. It was here where Adkins continued to show the footballing world is managerial pedigree, bringing high tempo, attacking football to St Marys, something that was not so prevalent when Pardew was the manager prior to Adkins’ arrival. Adkins managed to bring successive promotions to the Saints, going up in his first season at the club from League One to the Championship. In his second season in charge in the Championship, Adkins managed to make Southampton one of the standout teams in the league, with dynamic displays of attacking, possession based football. Adkins achieved a second-place finish, only to be tipped to the title by Reading, ironically. After a somewhat inconsistent start to Premier League life Adkins was sacked and replaced by Mauricio Pochettino in his maiden season in the top flight. This was met by outrage from a large proportion of the Southampton faithful, and the club’s owner Nicola Cortese received widespread criticism. However, Saints fans have started to come to terms with the loss, as Pochettino seems to be proving his worth in the Premier League. Adkins has now joined Reading, after the departure of Brian McDermott, who was highly respected and adored by Reading fans. The sacking of McDermott was somewhat reminiscent of Adkins’ dismissal at Southampton. The arrival of Adkins sparks a new period for the club, a time to move on. Adkins will bring a fresh set of ideas to a struggling Reading side, who are lingering perilously near the bottom of the table. Adkins desire to play attacking, possession based football is something Reading fans will no doubt be happy with. It will take time, of course, but his ideology of implementing a footballing style based around ball retention has been clear to see. Adkins alongside a wealthy owner has proven he can attract top young talent from European clubs, with the signing of Uruguayan Gaston Ramirez from Bologna. Adkins will be alongside another wealthy owner, in the form of the Russian Anton Zingarevich, who has promised the manager there will be a sizable transfer budget. His willingness to bring youth players who he deems good enough into senior side reaped dividends for him at Southampton, most notably the inclusion of James Ward-Prowse and Luke Shaw in many Premier League games. Football fans like to see home-grown youth talent given a chance to play on the big stage, and Adkins will provide opportunities for these players, allowing for young individuals to develop and mature as footballers. This appointment isn’t a sidewards step, a mentality of which some Reading fans acquire. This is a step forward. A step forward to a better Reading, his love for football is evident to see. 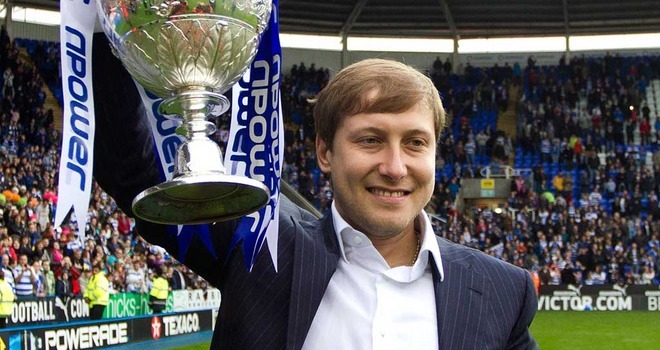 Reading’s 2012-13 Premier League campaign; what does Zingarevich’s takeover mean? Newly-promoted Reading have recently announced that Thames Sports Investment has completed a 51 per cent buyout of the club. The new owners, led by Russian businessman Anton Zingarevich, are rumoured to be ready to spend the required revenue to help the Royals compete in the English top-flight, and ensure their return to the big time is not on a temporary basis. Despite this, the acquisition brings an end to John Madejski’s 22-year reign as proprietor of the club – so what can Reading fans expect from their new owners? Although the deal for TSI and Zingarevich to take over the club was only made official on Tuesday, the takeover has been in the offing for quite some time now. The eastern European entrepreneur had agreed to buy the leading stake in the club back in January, with a deal also being on the brink of occurring in March. However, with Reading’s promotion push, eventual Championship title win and football litigation and red tape, the deal is only being completed now. Fans of the outfit will be pleased to know that Madejski will remain in a senior capacity within the club, and now assumes the role of chairman, despite Zingarevich, Christopher Samuelson, Andrew Obolensky and chief executive Nigel Howe all taking their places on the Royals board. Any takeover can take time to work, so the fact that the previous owner and Ian Wood-Smith still have roles to play will ensure that the club are not starting afresh. Speculation in the press has indicated that Reading boss Brian McDermott will be given a £15 million transfer kitty this summer to add quality to his squad, which would be more than welcome in the side’s quest to stay in the Premier League. It is believed that Zingarevich is also formulating a long-term plan for the club, with the stadium capacity and upgrades into the academy and training facilities also high on the businessman’s list. For a football club owner Zingarevich is very young at 30 years old. The Russian is the son of a billionaire paper tycoon and as such is expected to have the finances to back the club’s Premier League ambitions. He paid £25 million for the 51 per cent share of Reading, which shows his intent to spend money. Of his fellow Thames Sports Investment colleagues, new board members Samuelson and Obolensky are financial experts, and will have the role of making sure that Reading can spend money when needed but not live beyond their means. Despite the fact that he is losing full control of the club that he loves, Madejski has confirmed that the takeover will allow the club to progress without changing the principles and procedures that he has taken the time to put in place. “It is the end of one era, but the start of another,” the 71-year-old entrepreneur admitted after the takeover. “It’s exciting times. Now we can really start getting on with things – it’s great. The club will be run in the same way and it’s business as usual. “It feels great getting this done having been here for 22 years and coming from Elm Park. However, it’s not about me, it’s about the club and all the people who work here and support Reading. Newly-promoted clubs have a real job on their hands to stay in the English top flight, but if Zingarevich is smart and wants the club to remain where they are, he will back his manager financially and leaves major decisions down to football men. Swansea and Norwich will act as inspiration for Reading in their survival bid, with McDermott keeping the core of the team that got them to the Premier League. Despite this, the club now have added investment that the likes of West Ham and Southampton, and some existing Premier League clubs, are likely to do without. One thing is for sure; it is an exciting time to be a Reading fan.